I'm always trying to come up with new recipes that Evelyn will actually eat. She doesn't usually eat bananas but she loved these muffins. Jack does too but he eats pretty much everything. The recipe was easy and I had everything in the pantry. Smash the bananas really well into a bowl. Then add the rest of the ingredients. Stir really well. 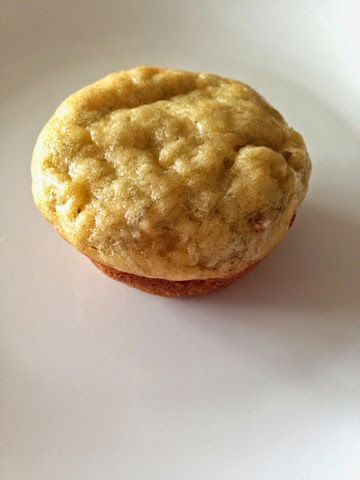 Spoon into a mini muffin pan that has been well coated with cooking spray. Pretty simple and pretty delicious.